Vermont utility regulators are asking for an investigation into the construction of a 41-mile natural gas pipeline. In an order issued on Wednesday, the Public Utilities Commission noted that Vermont Gas Systems has already agreed to an outside review of its construction practices for the project that was completed last year. Vermont Public Radio reports that project opponent Rachel Smolker, of Hinesburg, studied state records and the company's own documents to raise concerns that include improper construction techniques and a failure to document safe construction practices. She says she's grateful for the board's order. Vermont Gas spokeswoman Beth Parent says the pipeline is safe, but the company welcomes the review and is focused on how officials can support an outside review. The pipeline runs from the Burlington area to Middlebury. 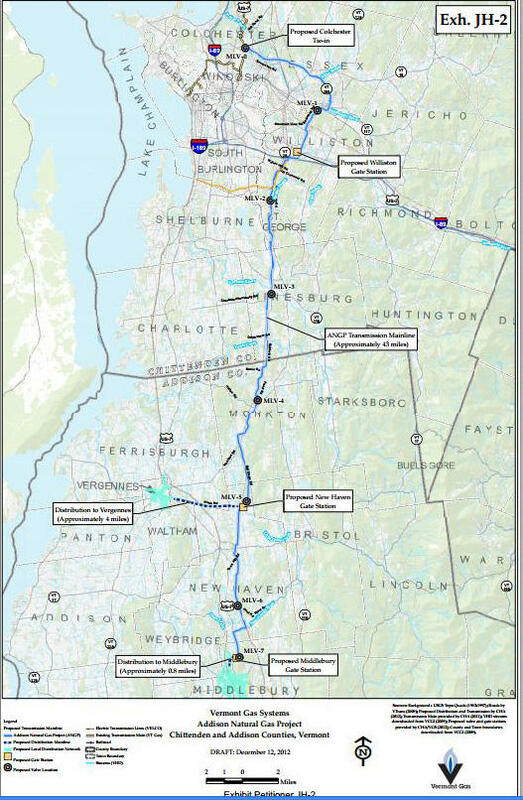 Vermont regulators are investigating whether Vermont Gas Systems failed to bury its new gas pipeline that runs from Colchester to Middlebury deep enough in New Haven. A lawyer for citizens trying to block a Vermont natural gas pipeline from going through a public park grilled witnesses for the company as protests occurred outside the hearing room Thursday. A Vermont woman has filed a federal civil rights lawsuit against the state's Public Service Board over an upcoming closed-door hearing regarding the Vermont Gas pipeline to Addison County. 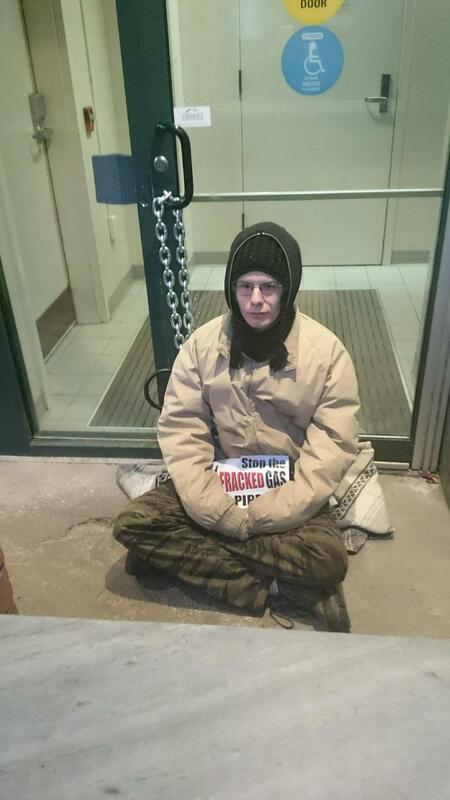 A group of protesters temporarily blocked an entrance to the building that houses the Vermont Public Service Board Monday morning.